Rest In Peace Patrick! We miss you and hope your family is doing well! Our community banded together to support a cause for an amazing individual. You are truly missed and will not be forgotten. Special thanks to the following individuals who either contributed to the donation drive or helped spread the word! SRK, Event Hubs, iPlayWinner and other FG centric websites – Special thanks to you for spreading the word on our cause! The entire community appreciates it! Bandai Namco Games – Thank you for your support & dedication to the scene. Your generous donations helped us raise a significant amount of interest & donations! Katushiro Harada & Michael Murray from the TEKKEN Project Team – Thanks for making time & going out of your way to support our cause! Mike Watson & Super Arcade – Thank you Mike Watson & Super Arcade regulars for supporting and helping out a fallen member of our community. Commando at IE Battlegrounds -Thanks for spreading the word and streaming the memorial event for Patrick! SuikenUser – Thanks for donating extra goodies as prizes & for the words of encouragement! Matrix Matt – Thanks for donating prizes & running the Super Arcade memorial event! GandaKris & Vicko Mods – Thanks for donating prizes and spreading the word! JamesMK – Thanks for caring and reaching out to the FGC and providing a medium for others to help spread their feelings. … and to everyone that donated & helped spread the word! Here is a list of the prizes and their respective winners! The prizes were mailed out today April 13, 2014 and should be arriving to most people within the next week or two (depending on how far you live from Southern California). 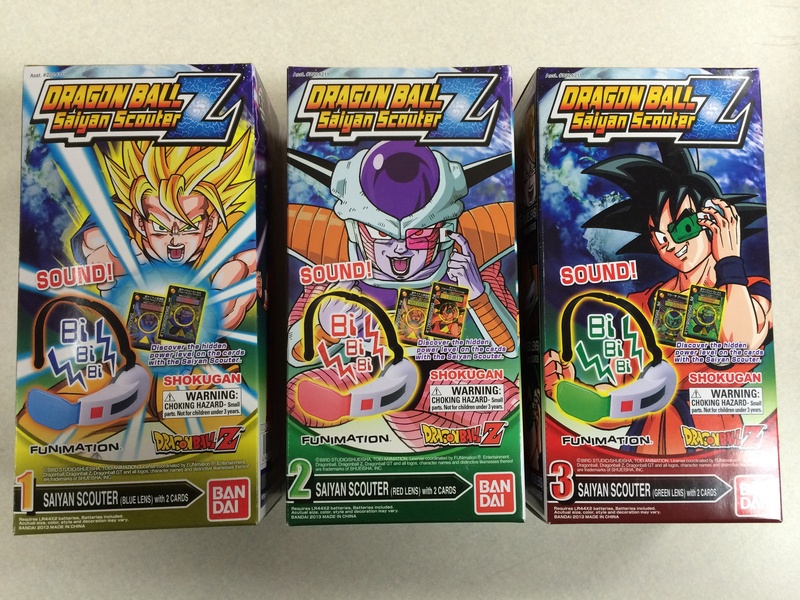 Dragon Ball Z Saiyan Scouter (6 winners): Isaac Dorfman, Ernest Willoughby, Anuj Dharan, Darius Alston, Derek Arrington & Michael Walters. Special thanks to SuikenUser for donating the prize! 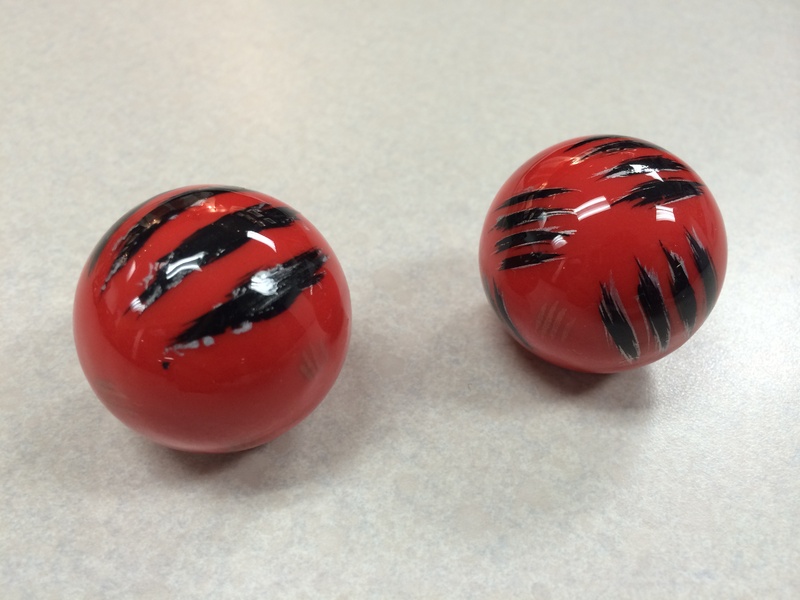 Custom Mad Catz Sanwa Ball Tops from GandaKris & Vicko Mods (2 winners) – Mike Zaimont & David Brown. Special thanks to GandaKris and Vicko Mods for the prizes! 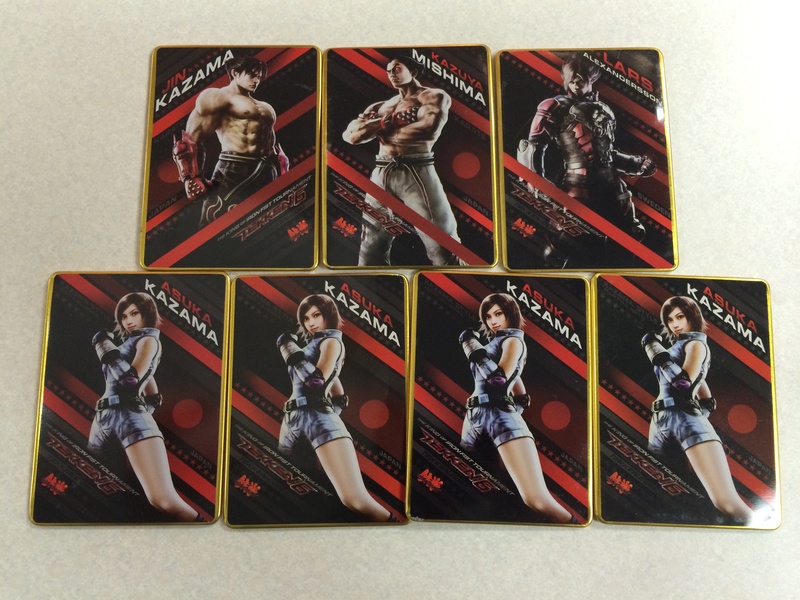 TEKKEN 6 Metal Trading Cards (1 Winner) – Ayobami Adeyemo. Thanks Matrix Matt for the prize donation! 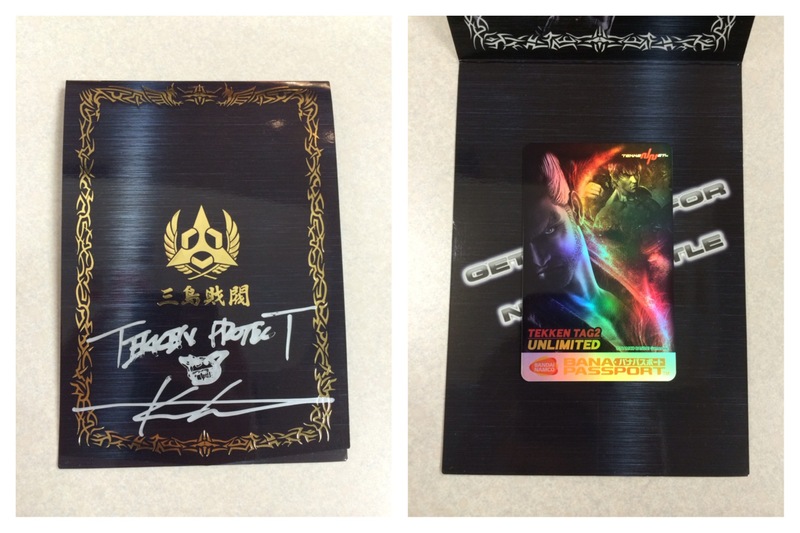 TEKKEN TAG TOURNAMENT 2 Unlimited special Banapass card signed by Katsuhiro Harada (1 Winner) – Nathan Peterson. Thanks to Matrix Matt for donating this prize! 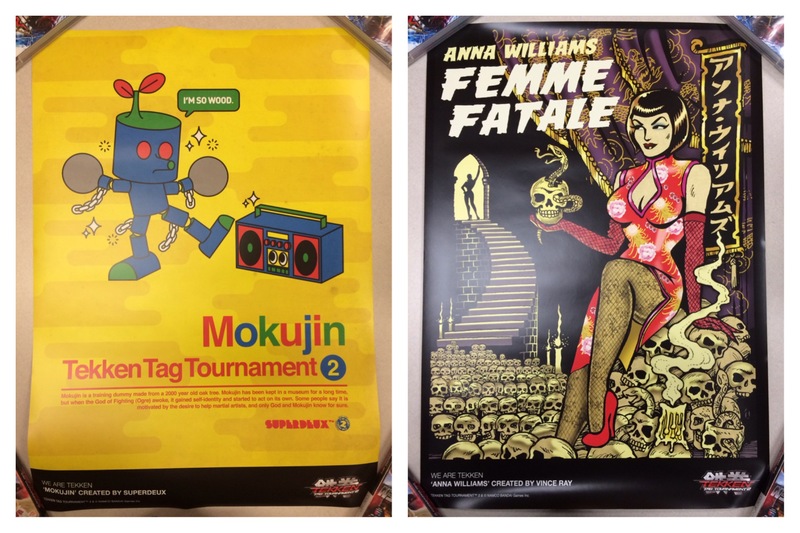 TEKKEN TAG TOURNAMENT 2 Exclusive to Europe Mokujin & Anna Poster (1 Winner) – Thomas Shin. Thanks to SDTEKKEN for donating the prize! 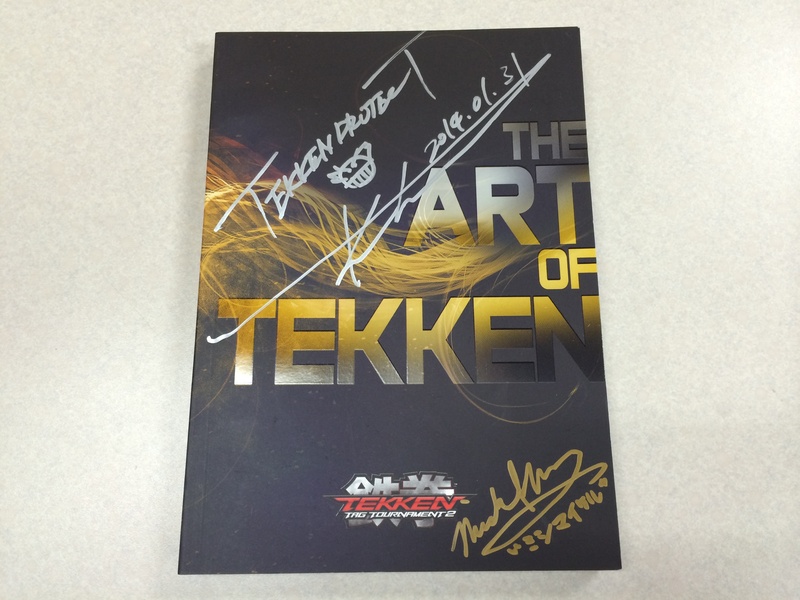 The Art of TEKKEN art book signed by Katsuhiro Harada (1 Winner) – Reepal Parbhoo of LevelUpYourGame. Thanks to Bandai Namco for providing this prize! 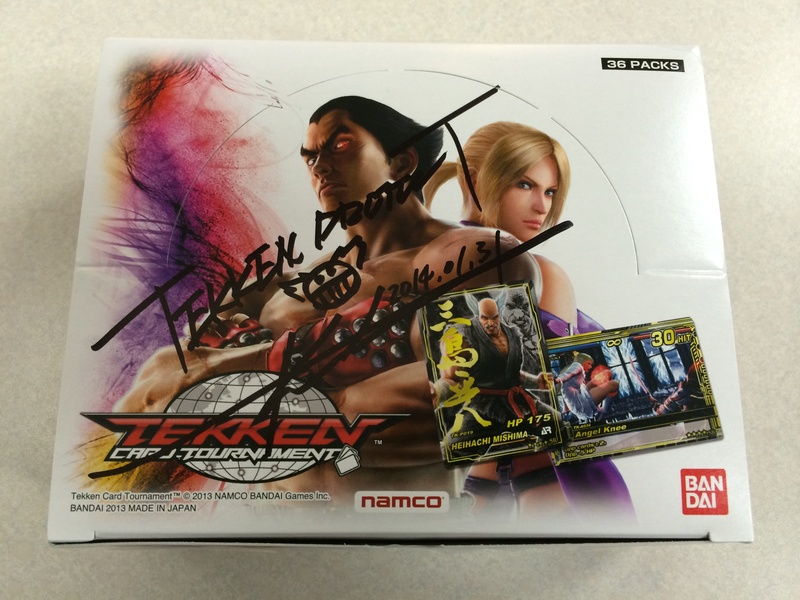 TEKKEN Card Tournament Booster Box signed by Katsuhiro Harada (1 Winner) – Esteban Morales. Thanks to Bandai Namco for donating this prize! 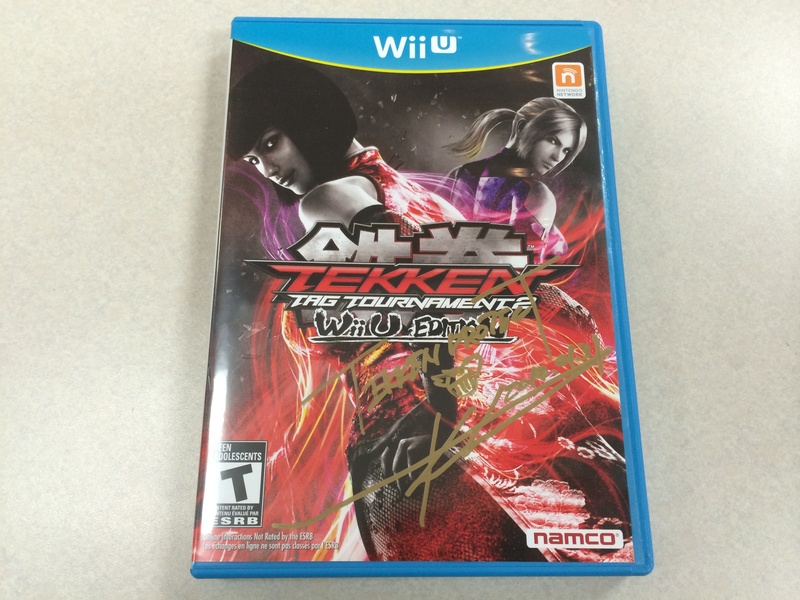 TEKKEN TAG TOURNAMENT 2 Wii U Edition signed by Katsuhiro Harada (1 Winner) – Matt Selman. Thanks to Bandai Namco for donating this prize! 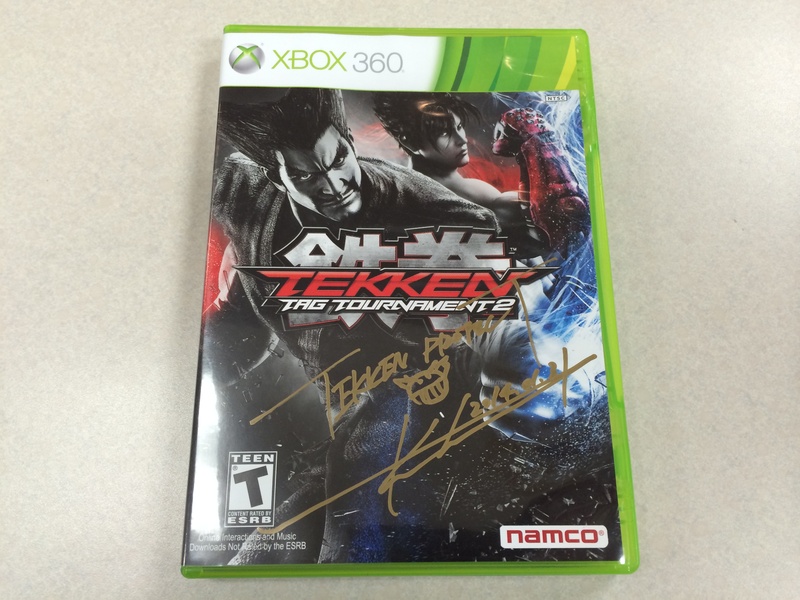 TEKKEN TAG TOURNAMENT 2 for Xbox 360 signed by Katsuhiro Harada (2 Winners) – Omer Ahmed & Ben Sanapanya. Thanks to Bandai Namco for donating these prizes! 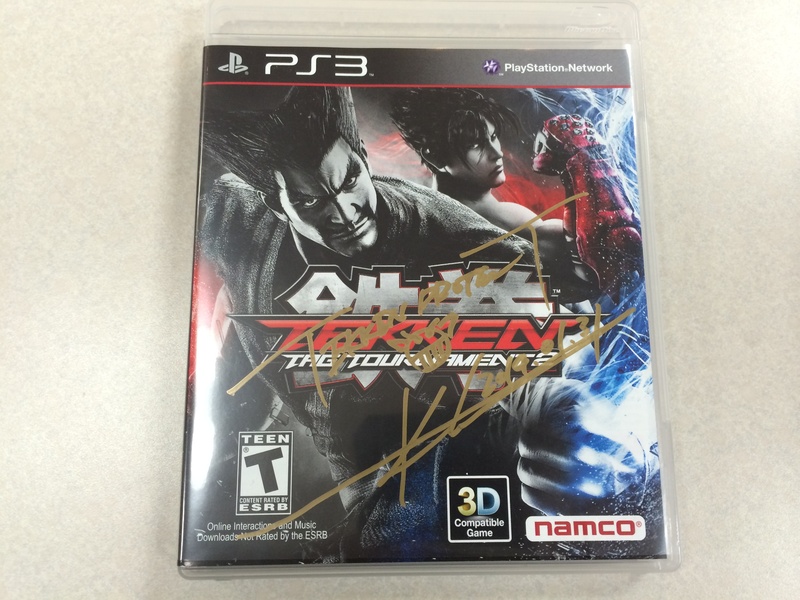 TEKKEN TAG TOURNAMENT 2 for PS3 signed by Katsuhiro Harada (2 Winners) – Mac of Stolen Chicken Ent. & Eric Prater. Special thanks to Bandai Namco for donating these prizes! TEKKEN TAG TOURNAMENT 2 Christie Monteiro Kotobukiya Bishoujo Statue (1 Winner) – David Trinh. Thanks to SDTEKKEN for donating this prize! TEKKEN TAG TOURNAMENT 2 Jun Kazama Kotobukiya Bishoujo Statue signed by Katsuhiro Harada (1 Winner) – Katy Petousis. Special thanks to Bandai Namco for donating this prize! 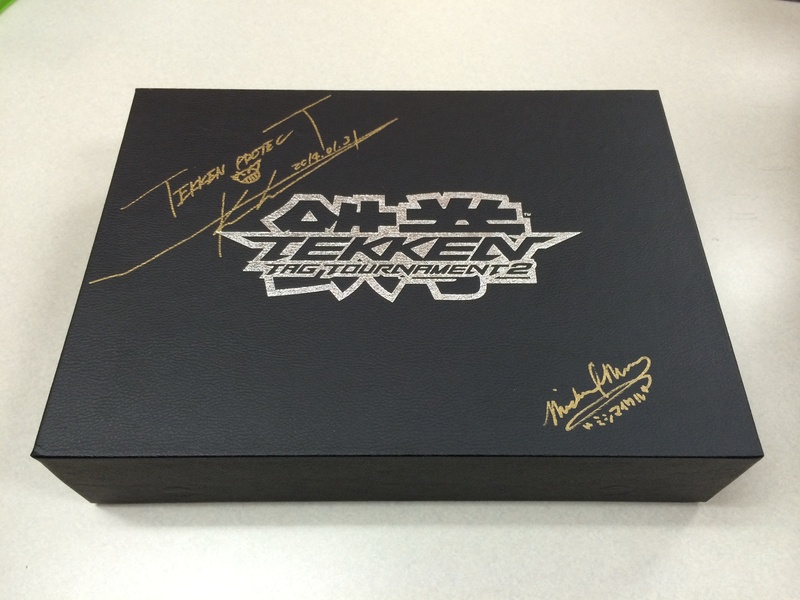 TEKKEN TAG TOURNAMENT 2 Asia Collector’s Edition signed by Katsuhiro Harada & Michael Murray (1 Winner) – Nael Masood. Thanks to Bandai Namco for providing this prize! 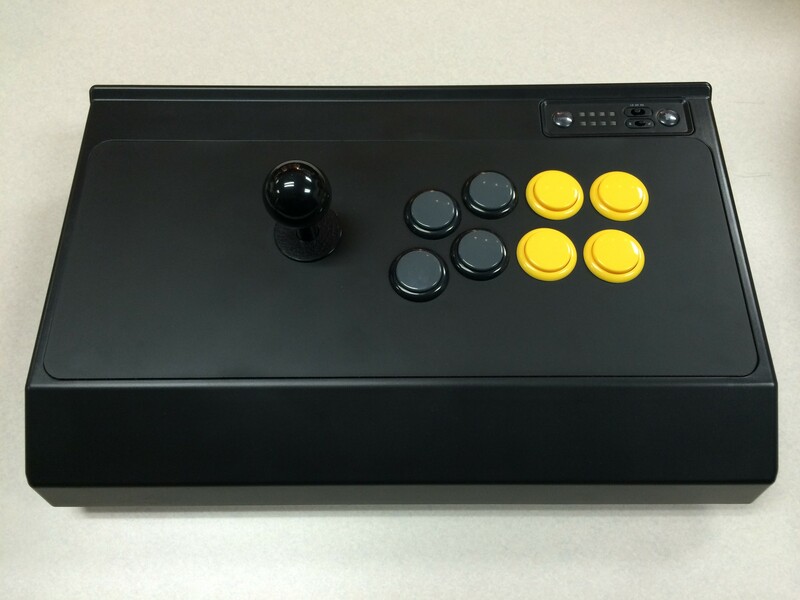 Prototype Mad Catz Arcade FightStick PRO from MarkMan’s collection (1 Winner) – Brett Pierce. Thanks to SDTEKKEN for providing this prize! 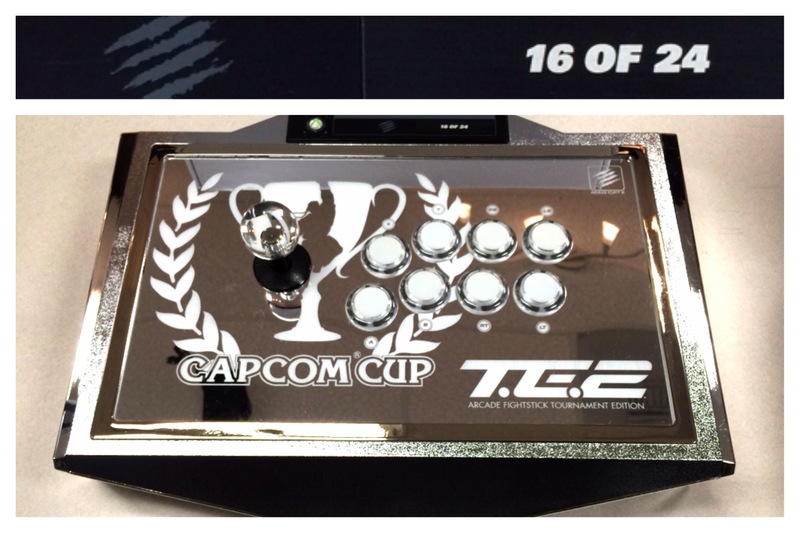 Capcom Cup ‘Platinum’ Arcade FightStick TE2 – #16 out of 24 (1 Winner) – Steven Quinteros. Special thanks to Mad Catz for donating this prize! 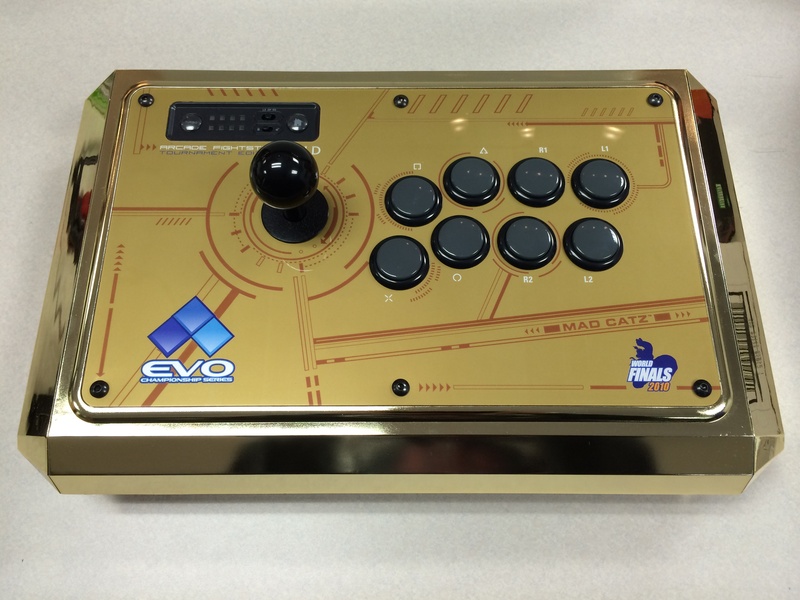 EVO 2010 ‘Gold’ Arcade FightStick TE – #21 out of 24 (1 Winner) – Aris of AvoidingThePuddle. Special thanks to Mad Catz for providing this prize! That rounds out the list of winners! Again, thank you so much for everyone involved. We will update this post later this week once everyone has received their prizes! If you are one of the lucky winners, tweet us a pic @SDTECHIN when you receive it!